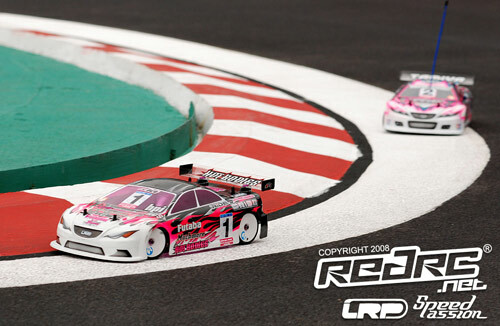 The video above shows the 3rd and deciding leg of the 2008 ISTC Touring car World Championships A-main in which Marc Rheinard takes the win to claim the World title. 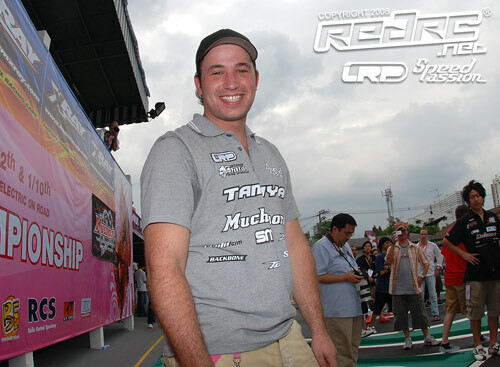 Marc Rheinard is now officially the best electric touring car driver in the World after he became the first double title holder by winning the 2008 IFMAR Electric Onroad World Championships here today in Thailand. The German was always one of the favourites coming into the event along with his great rival & friend Atsushi Hara but no one could have predicted such a dramatic finish to the event. 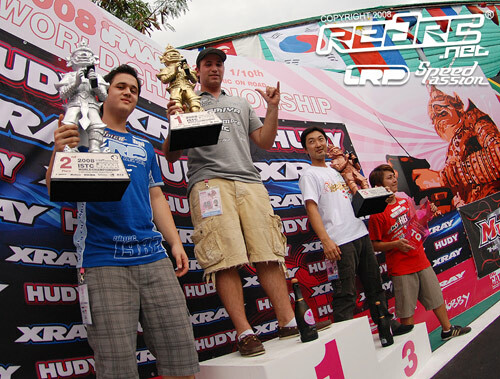 Having pretty much dominated qualifying winning four of the six rounds of heats, Hara secured TQ honours from Rheinard’s Speed Passion powered Tamiya, setting the stage for a great battle between the two former World Champions. Leg 1 didn’t go as scripted as the pair touch on the third lap handing the legendary Masami Hirosaka the win. Leg 2 was a far more straight forward affair with Hara taking a relatively easy win over Rheinard. Although going into the third & final leg five drivers still had a shot at becoming the Worlds No.1, most thought the five minute race was just a formality for Hara as Rheinard appeared to admit defend after Leg 2 but instead we saw one of the greatest display’s of rc driving ever witnessed. Pulling clear up front it was 2000 Champion versus 2004 Champion as the two ran like a high speed train lap after lap. With the crowd on their toes Rheinard’s persistence paid off in the final minute as he squeezed his way past Hara’s Hot Bodies Cyclone at the first hairpin. On the very next lap Rheinard got slightly out of shape at the opposite end of the track and Hara saw an opportunity to get down the inside but ran too tight and clipped a kerb rolling his car. With a clear lead and Hara falling back to fourth, Rheinard brought it home to become Champion of the world. Cruelly for Hara the result meant his months of preparation were not even rewarded with a podium. Those honours went the way of Ronald Volker, making it a German 1-2, and Masami, the man who wanted this title so badly. After the race Hara was quick to praise Rheinard saying, ‘Marc is the best touring car driver in the world right now. He is my bigger little brother and he was faster than me today’. Such respect between these two world class drivers makes them truly great ambassadors for our sport and allowed the large crowd at the RCS in Bangkok to witness one of the greatest finals in the history of rc racing. Ronald Volker came here looking for a podium and that exactly what he got and deserved. His fast clean driving style meant he was at the sharp end of the international field from the very first practice runs. The 24-year-old LRP team driver qualified third and kept it in the top three for all legs of the A-Main to finish overall runner up, a result he described as ‘fantastic’ as he collected his trophy. Although Masami came here seeking nothing less than victory he was happy in the knowledge that he had given his best. 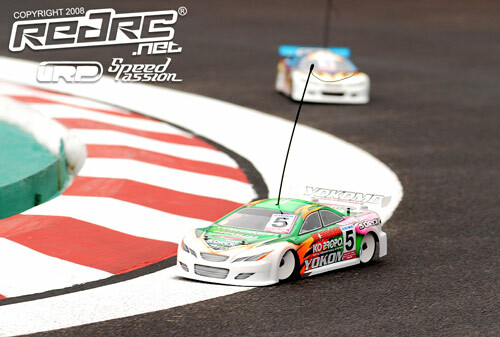 Having set the pace on the opening day, in the end third was not the result he wanted but finishing on the podium for the third time, the only driver to do so, was some consulation for the long time Yokomo driver who has won every other electric World title. One of the biggest discoveries of talent at this World’s was undoubtedly 15-year-old sensation Elliot Harper who on his championship debut finished an incredible fifth overall. Finishing third and setting the fastest lap in the first leg of the A-Main, the Xray driver is clearly set for greater things but for now, unlike professional racer Rheinard, must quickly return to normality which at his age means back to school on Tuesday morning to sit exams! For out going Champion Andy Moore finishing seventh was obviously a disappointment. Gutted for his Hot Bodies team-mate Hara, the Englishman graciously accepted defeat saying the racing was so close between everyone but in the end Rheinard clearly deserved the win. So one week after arriving in Bangkok, Thailand the journey through two World Championship is over. Each of the competitors that took part leave with their own memories but in the history books the event will be remembered for the crowning of the youngest ever World Champion with Naoto Matsukura’s great 1:12 victory and the thrilling race that saw Marc Rheinard become the first double Touring Car World Champion. Red RC would like to thank all the crew here at the fantastic RCS facility for their hospitality during our stay in Bangkok. We also thank the sponsors of our live coverage, Speed Passion and LRP, and congratulate them both on their respective motor and speedo becoming World Champions. The video above shows the action from the A-main 2nd leg, which saw Atsushi Hara storm to victory ahead of Marc Rheinard. 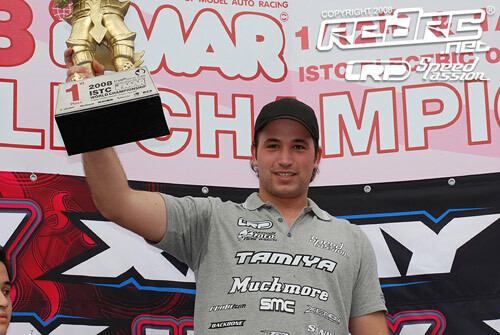 Marc Rheinard is the new Touring Car World Champion after a dramatic victory in the final Leg here in Thailand. 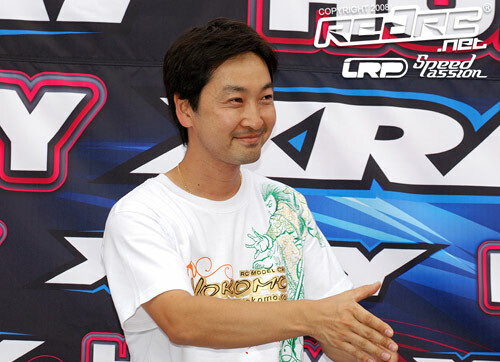 The German, who becomes the first double World Champion, battled intensely with Top Qualifier Atsushi Hara eventually squeezing his way past his great Japanese rival. The real drama unfolded when Hara rolled his Hot Bodies in the last minute dropping to fourth and handing Rheinard the title. Finishing second Ronald Volker becomes Vice Champion with Masami Hirosaka completing the podium. After the drama of the opening Leg, the second A-Main here at the RCS in Bangkok was a far more straight forward affair with Atsushi Hara taking a comfortable win over Marc Rheinard. The result means the outcome of the fifth Touring Car World Championships will go down to the third and final leg. Based on the performance we have just seen Hara certainly looks on target to become the first driver to win the Touring Car world title twice with his main rival Rheinard almost admitting defeat saying if the opportunuity arises he will go for it but that he must also be careful so as to protect second spot as a mistake could cost him a podium. Third for the Leg was Ronald Volker, the German having to throw his LRP powered Cyclone TC across the line to fend of intense pressure from Leg 1 winner Masami. Andy Moore finished fifth ending his reign as World Champion while fellow countryman Elliot Harper completed the Top 6. 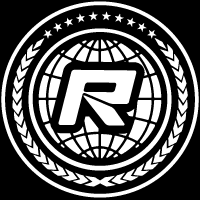 So five minutes of racing seperate us from finding out who will enjoy the rewards of holding the World title for the next two years but right now it looks as it is going to be the same guy that hold the same crown for 1:8 Off Road. 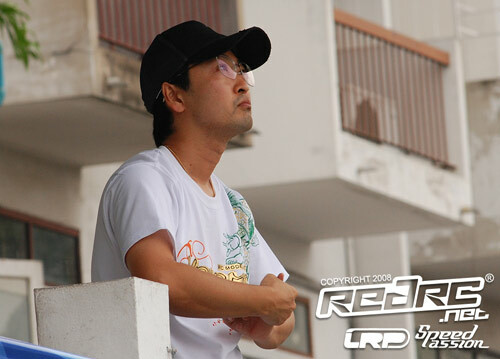 There was a big surprise in the opening Leg of the A-Main here in Thailand with Masami Hirosaka taking the win after title favourites Atsushi Hara and Marc Rheinard touched on the third lap allowing the Yokomo driver to take an early lead. Once out front the Japanese legend never looked back to head home Ronald Volker and ever impressive Elliot Harper. ‘Very lucky’ was Masami’s reply when asked about how the first A Main went but a win is a win and with his car looking much better today his ambitions to lift the one title that elludes him are very much alive. Having suffered with tyre choice during qualifying, Masami said his car was now very easy to drive and he is feeling confident for the next Leg. ‘Just a racing incident’ was how Hara, who eventually finished fourth, described the incident that could be the main talking point of many a discussion on the 2008 Worlds depending on the outcome here later today. The Japanese driver said Rheinard was a little faster in the opening part of the race and that he was just trying to hold the inside line when the Tamiya touched the back of his Hot Bodies. Holding a lot of respect for one another, Rheinard waited for Hara to retake the position but Viktor Wilck got involved in the incident allowing the trio of Masami, Volker and Harper to take up the lead battle. Hot Bodies driver Volker was very happy with second in the opening leg after making a bad start. Benefiting from the clash between the two former World Champions, the German said it was a tough race as Harper, who set the fastest lap of the race, pushed him all the way to the finish. Having changed the set-up on his Xray after this morning’s practice Harper said his T2 009 was ‘amazing’ but couldn’t find a way past the German who drove flawlessly. Defending Champion Andy Moore had an early ‘throw away round’ after he finished seventh following a rough opening race. Having got muscled out at the first corner, the Englishman found himself last at the end of the opening lap. Trying to make his way back up the order he then made contact with his Hot Bodies team-mate Hayato Matsuzaki ending any hope of a good result.